Key factors that have shaped U.S. Indian policy and led to the fractured state of Indian land tenure in Indian Country today include countless federal laws and legislative acts. 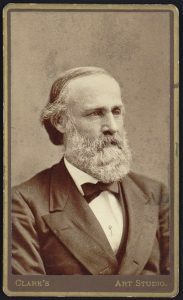 Perhaps the single most devastating federal policy was the General Allotment Act of 1887, also called the Dawes Act after Senator Henry Dawes, the Act’s lead proponent. The U.S. federal government began the policy of allotting Indian land as early as 1798. Several treaties with Indian tribes included provisions that stated land would be divided among their individual members. 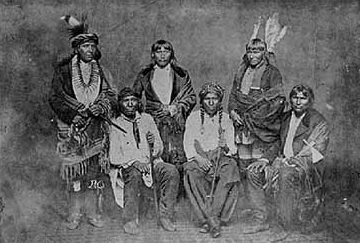 After 1871, however, Congress declared that no further treaties would be made and all future dealings with Indians would be conducted through legislation. There were several reasons that allotment proponents supported the policy. First, many of them considered the Indian way of life and collective use of land to be communistic and backwards. They also saw the individual ownership of private property as an essential part of civilization that would give Indian people a reason to stay in one place, cultivate land, disregard the cohesiveness of the tribe, and adopt the habits, practices and interests of the American settler population. Furthermore, many thought that Indian people had too much land and they were eager to see Indian lands opened up for settlement as well as for railroads, mining, forestry and other industries. 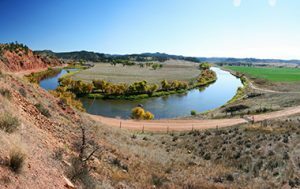 Although the General Allotment Act was the first major piece of legislation designed to allot Indian reservations across the U.S., many tribes were allotted under special legislation that was unique to their tribe or reservation. These acts usually are similar to the General Allotment Act but often contain special provisions. Under the policy of allotment, Indian land ownership was not the same as land ownership for other homesteaders. Non-Indian settlers could sell or alienate their land because they had complete fee simple ownership. Under the General Allotment Act, Indian allottees were declared “incompetent” to handle their land affairs and the United States would retain legal title to the land as trustee for the allottee; Indian allottees only had beneficial or usufruct title. In other words, as long as the allotment was held in trust by the federal government, the Indian landholder could use the land but not sell it or lease it without the federal government’s approval. However, the Act stated that 25 years after the allotment was issued, Indian allottees would be given complete, fee simple ownership of the land. At that point, the landowner could sell or lease it to anyone. Despite the original safeguards in place to help Indian people retain their land, the General Allotment Act caused Indian land holdings to plunge from 138 million acres in 1887 to 48 million acres by 1934 when allotment ended. This happened for several reasons. First, during the allotment of many reservations, the most productive land was identified as “surplus to Indian needs” and sold off to white settlers or business interests. In addition, many Indian people did not become the farmers the U.S. government wanted them to be. The General Allotment Act did not provide for agricultural education or farming equipment. In addition, the allotted land was often inappropriate for agriculture, and for some Indian groups, intensive agriculture was culturally unacceptable. Cut off from their livelihoods and their previous ways of survival, some Indian people sold their land after the 25-year trust period because they had no means of supporting themselves and had nothing else to sell. Amendments to the General Allotment Act also made it easier for Indian land to pass into non-Indian hands. For example, in 1902 legislation known as the “Dead Indian Act” was passed that allowed Indian landowners to sell lands they inherited even if they were still in trust. In 1906, the Burke Act was passed, which authorized the secretary of the interior to decide whether an Indian person was “competent” to manage his or her lands. If the Indian person was deemed “competent,” the secretary could take the land out of trust and the land would become taxable. The secretary of the interior was authorized to do this with or without the knowledge and/or against the wishes of the allottee. Thus, many Indian people ended up having their land sold in tax forclosure auctions because they owed taxes on land they thought was in trust. With the Act of May 29, 1908, the secretary of the interior was also given power to sell the allotments of deceased Indian landowners if he deemed the heirs incompetent. In the end, 27 million acres of Indian land were lost as a result of these acts. So much Indian land was passing out of Indian hands that even the U.S. government became alarmed. In 1928, a government report entitled “The Problem of Indian Administration” (also known as the “Merriam Report”) sharply criticized the policy of allotment and the U.S. Indian Service in general. The report provided undeniable evidence of the destructiveness of federal Indian policy and spurred significant changes in the federal administration of Indian affairs. Allotment not only caused 90 million acres of Indian land to be removed from Indian ownership and control, its impact continues to have serious consequences, such as the increasingly fractionated ownership of Indian land title, checkerboard ownership patterns on many reservations and loss of access to important sacred sites, to name just a few. The policy of allotment on American Indian reservations was put into effect by many pieces of legislation. This section provides brief summaries of and links to all general allotment legislation, including the General Allotment Act of 1887, its amendments and more recent legislation that impacts Indian land tenure. Below is a list of relevant historical allotment legislation. Section 1: Authorizes the president to allot tribal lands to individual Indians in designated amounts on reservations created by treaty, act of Congress, or executive order. If a treaty or agreement with a tribe was made earlier and provided for larger allotments to members of that tribe, the president is authorized to allot land according to the treaty or agreement. If the lands are not suitable for farming but appropriate for grazing, the president is authorized to allot sections of land larger than the amounts specified in this section of the General Allotment Act. Section 2: Provides that the Indian allottees themselves make their own selection of land as to accommodate those who had already made improvements or built upon a piece of land. Indian heads of families are authorized to select allotments for their children and Indian reservation agents are authorized to select land for orphans. This section also authorizes the secretary of interior to direct agents to make allotment selections for individual Indians who fail to select land within four years of the president’s direction to allot the reservation. Section 3: Stipulates that allotments shall be made by agents, regular and special. Allotments will be certified and certificates duplicated, so that one copy is held by the Indian office, and one copy in the General Land Office. Section 4: Allows any Indian not residing upon a reservation, or for whose tribe no reservation has been provided, to secure an allotment upon public lands. Any contract made that involves the land before the end of the trust period is null and void; after patents have been issued to Indians for their allotments, the laws of descent and partition of the State in which the allotments are located replace tribes’ inheritance laws and are applied to the allotment; and, if there is any land on the reservation that has not been allotted, the Secretary of the Interior is authorized to negotiate with the tribe for the purchase of this surplus land by the United States. These purchases have to be ratified by Congress and will be sold to white settlers in tracts not exceeding 160 acres. Money that is earned by selling the land to white settlers is to be held in trust by the government for the sole use of tribes to whom the reservation belonged but subject to appropriation by Congress for the education and civilization of the Indians. This section also states a hiring preference for Indian people in public service who have followed the provisions of the General Allotment Act and have become citizens of the United States. Section 6: After allotments have been made, every member of the bands or tribes to whom allotments have been made are subject to laws of the state or territory in which they reside. Every individual Indian who receives trust patents is bestowed with United States citizenship (This section was amended by the Burke Act in 1906). 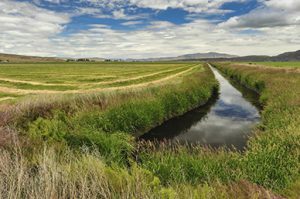 Section 7: The secretary of the interior is authorized to prescribe rules and regulations for water rights on irrigated lands within the reservation. Section 8: None of the Cherokees, Creeks, Choctaws, Seminoles, Osage, Miamies, Peorias, Sacs and Foxes, in Indian Territory, nor any reservations of the Seneca Nation of New York, nor an executive order reservation in Nebraska, are subject to the provisions of the General Allotment Act. Section 10: Nothing in the act is to be construed as affecting the right of Congress to grant right of way through lands granted to an Indian person or tribe, or condemn such lands to public uses, upon making just compensation. Authorizes the secretary of the interior to accept surrenders of patents by Indian allottees, provided that the Indian allottee, if he or she chooses, makes another selection of land. Sections 1 & 2: The first two sections of this act modify the provisions in the General Allotment Act relating to amounts of land to be allotted, stipulating that each adult receive an allotment of 80 acres. Section 3: Permits the leasing of individual allotments wherever the secretary of the interior finds that the allottee, “by reason of age or disability” cannot “personally and with benefit to himself occupy or improve his allotment or any part thereof.” This section also stipulates the length of time an allotment may be leased and for which purposes: three years for farming and grazing, 10 years for mining. Section 4: Briefly describes the process by which unallotted Indian people may receive allotments for themselves and their children on land not otherwise appropriated. Section 5: Provides that for purposes of descent, cohabitation “according to the custom and manner of Indian life” shall be considered valid marriage. Sections 1 and 4 of this act are amended by the Act of June 25, 1910. A portion of this act allows for the surplus lands of any tribe to be leased for farming purposes by the tribal council for three years. This act also allows anyone of Indian descent who claims to be entitled to land under any allotment act or claims to have been unlawfully denied from any allotment to prosecute or defend any action or suit in circuit court. The act gives the circuit courts jurisdiction to try these sorts of suits. Adds “inability” to age and disability as reasons why an allottee may lease his or her land for a term not exceeding five years, for farming purposes only. See Section 3 of Act of February 28, 1891. Amends slightly the portion of the Act of August 15, 1894, which states that anyone of Indian descent who claims to be entitled to land under any allotment act or claims to have been unlawfully denied any allotment is able to prosecute or defend any action or suit in the appropriate circuit court. Also provides for the process by which these suits are brought to the attention of the district attorney and authorizes him to defend the U.S. government against the suit. Contains a provision authorizing the secretary of the interior to grant rights of way in the nature of easements across tribal and allotted lands for telephone and telegraph lines and offices. Also, contains a provision subjecting allotted lands to condemnation under the laws of the state or territory in which they are located. The money awarded as damages shall be paid to the allottee. See also Section 10 of the General Allotment Act. Established a procedure whereby the adult heirs of a deceased allottee could sell the heirship lands with approval of the secretary of the interior. Section 7: States that: The adult heirs of any deceased Indian to whom a trust or other patent containing restrictions upon alienation has been or shall be issued for lands allotted to him may sell and convey the lands inherited from such a decedent, but in the case of minor heirs their interests shall be sold only by a guardian duly appointed by the proper court upon the order of such court, made upon petition filed by the guardian. The estate could be sold under government supervision and the proceeds distributed among the heirs. “Indian Land Tenure, Economic Status, and Population Trends,” Part X of the Report on Land Planning, Office of Indian Affairs, United States Printing Office, 1935. 15-16. The statutes of limitations of the states in which an allotment is located will apply to all actions brought in any state or federal court by any patented allottee, his heirs, or grantees, made against the government for the possession or rents or profits from the allotted lands under treaty. Amends section 6 of the General Allotment Act, adding that the secretary of the interior is authorized to cause an issue of a patent in fee simple to an allottee whenever the secretary is convinced that the Indian allottee is competent and capable of managing his or her affairs (This did not require the Indian allottee’s approval, desire, or knowledge of the fee simple patent issue). After the patent of fee simple is given, all restrictions to sale or encumbrance are removed and the allotment is subject to taxation. Under this act, all allottees who have not received fee simple patents are subject to the exclusive jurisdiction of the United States. This act does not extend to Indian Territory (Oklahoma). This act also grants the secretary of the interior express authority over determining the legal heirs of deceased Indians for the first time. Whenever an allotment is made, and the Indian allottee dies before the expiration of the trust period, the allotment is canceled and will revert back to the United States. The secretary of the interior is then authorized to ascertain the legal heirs of the deceased and issue patents in fee simple to the heirs for the land. Or, the secretary may sell the land and issue a patent to the purchasers and pay the net proceeds to the heirs. Permits the president to continue trust periods or periods of restrictions on all lands in trust. This provision was not applied to Indian Territory (Oklahoma). Amends the General Allotment Act by adding that no lands acquired under the provisions of the act shall satisfy or become payment for any debt contracted before the issuing of the final fee patent. It further states that no money from any lease or sale of lands held in trust for any Indian allottee will pay debts contracted during the same trust period except with the approval and consent of the secretary of the interior. States that any Indian land allotted under law or treaty without the power of alienation may be sold by the Indian landowner if it lies within a reclamation project area approved by the secretary of the interior. States that any “non-competent” Indian person to whom a patent containing restrictions against alienation has been issued for an allotment in severalty under law or treaty, or who may have an interest in an allotment by inheritance, may sell or convey all or any part of such an allotment or such inherited interest “on such terms and conditions and under such rules and regulations as the Secretary of the Interior may prescribe” before the time when such restriction was to have expired. Section 1: Authorizes the secretary of the interior to designate which Indian people are capable of managing their affairs and cause a pro rata (or fixed proportional) share of tribal or trust funds to be allotted to them. The Indian landowner must make an application for this. Expands the authority of the secretary of the interior and heirs of deceased allottees to sell allotted lands. Permits the secretary of the interior to make sales of allotments upon the death of the original allottee and also to issue a patent to the vendee of such Indian heirship lands. The act authorizes the secretary to determine the legal heirs of an original allottee who has died before the end of the trust period and make sales of the allotment if he deems those heirs “incompetent.” If the heirs are deemed “competent,” the secretary is authorized to issue patents in fee to them for the allotment. Extends the authority to sell allotments which could be sold by the secretary of the interior under law existing prior to the act to the allottee or his heirs if they petition to sell the lands (this provision does not extend to lands in Oklahoma, Minnesota or South Dakota). The lands of a minor or an Indian person deemed” incompetent” by the secretary may be sold on the petition a natural guardian or one appointed by the secretary of the interior. States that all allotments, except those made to members of the Five Civilized Tribes and Osage, may be leased for mining purposes for any term of years as may be deemed advisable by the secretary of the interior. The act also states that: if any Indian of a tribe whose surplus lands have been or shall be ceded or opened to disposal has received or shall receive an allotment embracing lands unsuitable for allotment purposes, such allotment may be canceled and other unappropriated, unoccupied, and unreserved land of equal area, within the ceded portions of the reservation upon which such Indian belongs, allotted to him upon the same terms and with the same restrictions as the original allotment, and lands described in any such canceled allotment shall be disposed of as other ceded lands of such reservation. This provision shall not apply to the lands formerly comprising Indian Territory. Section 1: Sets forth a plan for the administration and disposal of allotment land estates. If an Indian allottee dies before the expiration of the trust period on his or her allotment and has died without a will, this act gives the secretary of the interior the power to determine legal heirs. If the secretary finds the legal heirs “competent” to manage their own affairs, and that the lands are capable of partition, he may convey the lands to the heirs and issue them patents in fee. If the legal heirs are deemed “incompetent,” the secretary is authorized to sell the lands. Section 3: Indian allotments or rights, titles, or interests in allotments may be surrendered by the allottee for the benefit of his or her children to whom no allotment of land has been made. The formal relinquishment must be approved by the secretary of the interior. The secretary will then cause the relinquished estate to be allotted to the children. These allotments are subject to the same conditions as they were prior to the relinquishment. Section 4: Any allotment held under a trust patent may be leased by the allottee for a period not to exceed 5 years. Section 5: Makes any attempt to induce Indian landowners to execute contracts, deeds, or mortgages based on Indian trust land illegal and a misdemeanor. This section does not apply to leases. Section 8: Allows for Indian allottees to sell timber on allotments containing restrictions on alienation with the consent of the secretary of the interior. Further sections of the act contain provisions on the cancellation and replacement of allotments on reservoir sites, amend sections 1 and 4 of the Act of February 28, 1891, and make several minor amendments to previous acts. Amends section 2 of the Act of June 25, 1910. Extends the right of Indian allottees to make wills to Indian individuals having moneys or other property held in trust by the United States. Also states that the approval of the will does not terminate the trust period and the secretary of the interior may sell the lands for the use and benefit of the heirs or cause patents to be issued to the heirs. Contains a provision authorizing the leasing of potentially irrigable allotted lands where the Indian landowner, by reason of age or disability, cannot personally occupy or improve the land. If the secretary of the interior finds any inherited trust allotments are capable of partition to the advantage of the heirs, he may cause such lands to be partitioned among the heirs, regardless of their competency. Under these circumstances, the secretary may issue patents in fee to the “competent” heirs for their shares and trust patents to be issued to the” incompetent” heirs for the lands respectively or jointly set apart to them. The trust period of these lands will terminate in accordance with the terms of the original patent or order of extension of the trust period set out in said patent. Authorizes the leasing of restricted allotments for farming and grazing purposes, subject to departmental regulations. This Act states that: wherever, in any law or treaty or in any patent issued to Indians allottees for lands in severalty pursuant to such law or treaty, there appears a provision to the effect that the lands so allotted cannot be alienated without the consent of the president of the United States, the Secretary of the Interior shall have full power and authority to consent to or approve of the alienation of such allotments, in whole or in part, in his discretion, by deed, will, lease, or any other form of conveyance, and such consent or approval by the Secretary of the Interior hereafter had in all such cases shall have the same force and legal effect as though the consent or approval of the president had previously been obtained: Provided, however, That the approval by the Secretary of the Interior of wills by Indian allottees or their heirs involving lands held under such patents shall not operate to remove the restrictions against alienation unless such order of approval by said Secretary shall specifically so direct. Extends the provisions of the General Allotment Act, as amended, to lands purchased or those that will be purchased by Congress for the use and benefit of any individual Indian or tribe. Relates to oil and gas leases on lands subject to leases pursuant to the Act of Feb. 28, 1891. Made all non-citizen Indian people born within the territorial limits of the United States U.S. citizens. Authorizes the secretary of the interior to cancel any patent-in-fee simple issued to an Indian allottee or to his heirs before the end of the trust period described in his original trust patent or any extension of trust period by the president. The secretary of the interior is authorized to do this in situations of forced fee patent where the allottee or his or her heirs was given a fee simple patent without their consent or application. This act is applicable if the patentee has not mortgaged or sold any part of the land described in such a patent. This act states that upon cancellation of the patent, fee simple land reverts to the status it would have if the fee patent had never been issued. Amends slightly section 1 of the Act of June 25, 1910, relating to the powers of the secretary of the interior to determine the heirs of deceased Indians and the disposition or sale of allotments. Amends Act of February 26, 1927. Another amendment to section 1 of the Act of June 25, 1910, relating to the powers of the secretary of the interior to determine the heirs of deceased Indian allottees and the disposition or sale of allotments. Section 1: Prohibits further allotment of Indian lands on or after June 18, 1934. Section 2: Extends, until otherwise directed by Congress, existing periods of trust and restrictions on alienation placed on Indian lands. Section 3: Authorizes the secretary of the interior to restore to tribal ownership the remaining surplus lands of any Indian reservation opened to sale or other disposal provided that the rights or claims of any persons to any lands such on the date of the withdrawal shall not be affected. 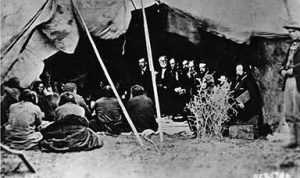 Contains several provisos pertaining to the Papago Reservation. Section 4: Prohibits transfers of restricted Indian land, individually-owned or otherwise, except to an Indian tribe. This section also restricts an Indian individual’s testamentary disposition of restricted Indian land to the heirs of the devisee, to members of the tribe having jurisdiction over the land, or to the tribe itself. Section 5: Authorizes the acquisition of lands, water rights, surface rights, and interests by the U.S. government for Indians and declares that purchased lands shall be tax exempt. Section 8: Leaves scattered Indian homesteads on the public domain out of the scope of this act. Section 13: States that: The provisions of this Act shall not apply to any of the Territories, colonies, or insular possessions of the United States, except that sections 9, 10, 11, 12, and 16, shall apply to the Territory of Alaska: Provided, That Sections 2, 4, 7, 16, 17, and 18 of this Act shall not apply to the following-named Indian tribes, the members of such Indian tribes, together with members of other tribes affiliated with such named tribes located in the State of Oklahoma, as follows Cheyenne, Arapaho, Apache, Comanche, Kiowa, Caddo, Delaware, Wichita, Osage, Kaw, Otoe, Tonkawa, Pawnee, Ponca, Shawnee, Ottawa, Quapaw, Seneca, Wyandotte, Iowa, Sac and Fox, Kickapoo, Pottawatomi, Cherokee, Chickasaw, Choctaw, Creek, and Seminole. Section 4 of this Act shall not apply to the Indians of the Klamath Reservation in Oregon. Section 15: Relates to the Sioux Nation. Section 18: Provides that the act as a whole should not apply to any reservation wherein a majority of tribal members voted against its application. Gives the secretary of the interior the authority to reimburse Indian landowners for taxes paid on allotted lands that were patented in fee prior to the expiration of the period of trust without application by or consent of the patentee. Click here for full text in Charles J. Kappler’s Indian Affairs: Laws and Treaties, produced by Oklahoma State University Library. States that if an Indian allottee dies without heirs, his or her land or interest, and the accumulated rents, issues and profits held in trust for the decedent, shall escheat to the tribe owning the land at the time of allotment. Authorizes the secretary of the interior to lease allotted lands for mining purposes where the allottee is deceased and the heirs to or devisees of any interest in the allotment either have not been determined or cannot be located. The information in this section revolves around the Indian Land Consolidation Act of 1983 and its amendments. These pieces of legislation are important attempts by the federal government to address the effects of allotment and to prevent the further fractionation of Indian land title. Below is a list of recent allotment legislation. Authorizes any tribe, with the approval of the secretary, to exchange or sell any tribal lands or interest in lands to eliminate undivided fractional interests in Indian trust or restricted lands or to consolidate its tribal landholdings. Sets forth conditions for such sales. Over 50 percent of the owners of such tract. Sets forth conditions for such purchases. Requires the secretary’s approval for such sales and purchases. Authorizes any tribe, subject to the secretary’s approval, to provide that only its tribal members or Indian people shall be entitled to receive by devise or descent any interest of a member of such tribe in trust or restricted land within that tribe’s jurisdiction. Sets forth conditions on such inheritance laws. Provides that no undivided interest in any tract of trust or restricted land shall be inheritable if such interest represents two percent or less of the total acreage of such tract and has earned less than $100 in the preceding year. Requires such undivided fractional interest to escheat to the tribe. (This provision, often called “original 207,” was deemed unconstitutional by the Supreme Court in Hodel v. Irving. Deals with the original section 207 of the Indian Land Consolidation Act of 1983, which states that undivided fractional interests in allotments that are less than two percent of the total acreage of a tract or earn less than $100 for the owner during the previous year shall revert to the tribe upon the death of the interest owner, regardless of whether the deceased owner made a will and had legal heirs. The Court held that this provision is unconstitutional. View Court Case Link here. The provision was amended in 1984 by Public Law 98-608. Amends the Indian Land Consolidation Act to remove the guidelines for land transfers under a land consolidation plan from provisions dealing only with the devise or descent of land interests to non-Indians or non-members of a tribe. Places such guidelines with the general provision authorizing land consolidation plans. 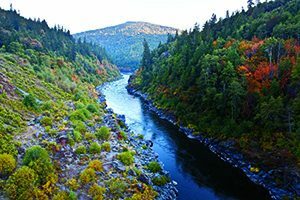 Terminates the requirement that tribal purchases of certain land tract interests need the consent of more than 50 percent of the owners of such tract. (Retains the requirement of consent of the owners of more than 50 percent of the undivided interests in such tract.) Grants the tribe a certain time in which to purchase property for which a petition has been filed to remove it from trust or restricted status. Authorizes any Indian tribe to adopt its own laws governing the descent and distribution of trust or restricted lands. States that, where the non-Indian or non-member survivors of an intestate deceased Indian person receive a life estate in certain trust or restricted lands, the remainder shall vest in the Indian individuals or tribal members who would have been heirs in the absence of a qualified person taking a life estate. Limits the right to receive a life estate to spouses and children who, if eligible, would have inherited an ownership interest of 10 percent or more in the tract of land. Authorizes any Indian tribe to adopt its own laws governing the disposition of escheatable interests. States that this act does not vest a tribal governing body with authority which is not authorized by its constitution or by-laws. Provides that trust or restricted lands will retain such status if they are acquired by an Indian person or Indian tribe in mortgage foreclosure circumstances unless an application is made to the secretary to change such status. Directs the secretary to give full faith and credit to any tribal actions taken pursuant to provisions of this title relating to inheritance laws. Applies such provisions only to estates of decedents whose deaths occur on or after the effective date of tribal ordinances adopted pursuant to this title. Directs the secretary to issue appropriate legal documents to effectuate land transfers made pursuant to this title. Provides that any land title acquired under this title by an Indian person or Indian tribe shall be taken in trust by the United States and that all such lands or interests in lands shall be exempt from federal, state and local taxation. Provides a side-by-side summary of the ILCA and its amendments as codified in USC Title 25, through 2000. The Court held that section 207 of the amended Indian Land Consolidation Act that forced escheat of certain individually-owned Indian property to a tribe is unconstitutional. Among many other items not directly related to allotment, amends the Indian Land Consolidation Act to authorize the Cherokee Nation to accept less than 10 percent of the appraised market value in the sale of their lands used as home sites. Amends the Indian Land Consolidation Act to revise certain Indian land consolidation provisions adds to the definition of “Indian” any person who has been found to meet such definition under a provision of federal law if consistent with the purposes of the act. to reverse the effects of the allotment policy on Indian tribes. Sets forth a provision requiring the approval of the secretary of the interior for trust or restricted land sales, except with respect to an Indian tribe that has a secretary-approved land consolidation plan. Requires approval by the secretary within 180 days of any adopted Indian tribal probate code governing descent and distribution of trust or restricted interests. Outlines approval procedures, reserves life estates for non-Indian devisees who would otherwise be precluded from inheriting by reason of the adopted code, and authorizes payments by tribes to such devisees to acquire interests. In the absence of tribal probate codes, this act provides uniform rules for descent and distribution of interests in Indian lands. To prevent Indian lands from passing out of trust, non-Indian heirs will only receive a life estate in Indian lands (a life estate is property that belongs to a person for their lifetime, but cannot be sold or passed on to anyone else until after the death of the person.) Because a non-Indian heir owns less than the full interest, a “remainder interest” is created, and this remainder interest must go to an Indian heir of the first or second degree. If there are no such heirs, the remainder may be purchased by any Indian co-owner of the parcel. If no offer is made to purchase the parcel, the remainder interest passes to the tribe. The rules are applicable to both testate (with a will) and intestate (no will) Indian estates. The 2000 amendments provide an exception in cases where Indian owners of trust land may not have an Indian heir and the general rule would deprive them of the ability to devise more than a life estate to any of their heirs. They may devise an interest to either their heirs of the first or second degree or collateral heirs of the first or second degree. Because these people are non-Indian, the interest would pass in fee, not in trust. These interests may also be purchased by the tribe. This act also limits the way that Indian land passes as a “joint tenancy in common.” If a person devises interests in the same parcel to more than one person, unless there is language in the will to the contrary, it is presumed to be a joint tenancy with the right of survivorship, meaning that each of a decedent’s heirs share a common title, so the last surviving member of the group obtains full interest as it was owned by the descendent. Any interest of less than five percent passing by intestate succession will also be held by the heirs with the “right of survivorship.” The secretary of the interior must certify that it has the capacity to track and manage interests that are held with the right of survivorship before this provision takes place. Addresses descent of off-reservation lands. Provides for the descent and distribution of trust or restricted lands located outside of a reservation. Also provides for the authority of the official authorized to adjudicate probate to approve agreements between a decedent’s heirs and devisees to consolidate interests in such lands. Requires the secretary to notify Indian tribes and owners of trust or restricted lands of the amendments made in this act with respect to testate disposition, intestate descent, and estate planning options, including opportunities for receiving assistance or advice. Authorizes owners of interests in trust or restricted lands to bring administrative actions to challenge the application of provisions regarding descent and distribution after the secretary has certified that notice on the amendments of this act has been made to tribes and landowners. Permits judicial review of the secretary’s final decision. Gives authority to the secretary to acquire factional interests in trust or restricted lands, with owner consent and at fair market price. The secretary may give priority to the acquisition of fractional interests representing two percent or less of a parcel of trust or restricted land, especially those interests that would have escheated to a tribe but for Babbitt v. Youpee. At the request of any Indian person who owns at least five percent of the undivided interest in a parcel of trust or restricted land, the secretary shall convey an interest acquired under this section to the Indian landowner upon payment by the Indian landowner of the amount paid for the interest by the secretary. Provides for tribal administration of acquired fractional interest and the disposition of proceeds from leases, resource sales, rights of way or other transactions affecting interests in trust or restricted lands. Sets out conditions for such administration. Grants authority to the secretary to develop a system for establishing the fair market value of various types of lands and improvements of interests in trust or restricted lands. Allows the sale or other exchange of interests in trust or restricted lands, including a prohibition on termination of trust or restricted status on land conveyed for less than fair market value until five years after approval of conveyance. Requires reports from the secretary to specified congressional committees on fractional interests in trust or restricted lands acquired and the impact on Bureau of Indian Affairs financial realty recordkeeping systems. Authorizes the secretary to approve leases, rights of way, and sales of natural resources affecting individually owned trust or restricted lands based upon the consent of specified percentages of the owners concerned (with decreasing percentages required the greater number of owners). Requires the secretary to provide for estate planning assistance to Indian landowners. States that this act is inapplicable to land located in Alaska. Amends the Indian Land Consolidation Act (ILCA) of 1983 and the ILCA amendments of 2000 creates a uniform, federal probate code for all reservations (except Alaska, the Five Civilized Tribes and Osage) across the U.S. Applies to all individually owned trust lands unless a tribe has its own probate code. Expands tribal authority to draft tribal probate codes which may supersede provisions of the act. Contains provisions for voluntary and involuntary land consolidations and sales both inside and outside of probate. 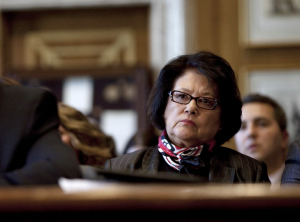 Elouise Cobell photo courtesy of Indian Country Today. Listed below are brief summaries of important U.S. Supreme Court cases related to allotment and Indian land tenure. Click on the case name link to read the full text of court decisions after 1893. Limits the authority of the secretary of interior to take lands into trust under the provisions of the Indian Reorganization Act (IRA). The Court held that the term “now” in the phrase “now under federal jurisdiction” limits the authority of the secretary to only take land in trust for Indian tribes that were under federal jurisdiction in June 1934, the date the IRA was enacted. A settlement is reached, totaling close to $4 billion. Under the agreement, $1.4 billion will be distributed to Indian plaintiffs involved in the case, and $2 billion dollars will be placed in a fund to buy back fractionated interests. The Court ruling dismisses the Nation’s assertion of a breach of fiduciary duty by the secretary of the interior, arising from his failure promptly to approve a royalty rate increase under a coal lease the Nation executed in 1964. The Court ruled that the Indian Mineral Leasing Act of 1938 and its regulations do not constitute the substantive source of law necessary to establish specific trust duties which mandate compensation for breach of those duties by the federal government. The Court held that state and local governments may impose ad valorem taxes on reservation land that was made alienable by Congress and sold to non-Indians, but was later repurchased by the Band. An act opening up “surplus land” left over from the allotment of Indian lands is evidence of congressional intent to “diminish” a reservation. Therefore, the Court held, non-Indian owned fee land that was ceded pursuant to a surplus act is not subject to federal environmental regulations even though the land may lie within the original boundaries of the reservation. Court ruled that a county can assess ad valorem taxes on reservation land owned in fee by individual Indians or the tribe that had originally been made alienable when patented under the General Allotment Act. Court held that the tribe does not have any authority to zone or regulate fee lands owned by non-members within the opened areas of the reservation. 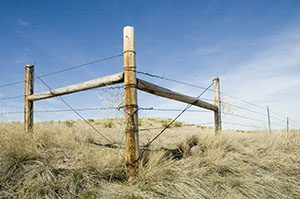 The ruling has important implications for the management of and jurisdiction over checkerboard reservations and the closed areas of the reservations. The Court ruled that the grant to civil jurisdiction under P.L. 280 does not include regulatory authority; therefore, the state laws relating to gaming cannot be enforced against Indians. Deals with the original section 207 of the Indian Land Consolidation Act of 1983, which states that undivided fractional interests in allotments that are less than two percent of the total acreage of a tract or earn less than $100 for the owner during the previous year shall revert to the tribe upon the death of the interest owner, regardless of whether the deceased owner made a will and had legal heirs. The Court held that this provision is unconstitutional. The Court held that a 12-year limitation period of the Quiet Title Act of 1972 bars a civil suit being brought against the United States over the sale of allotments completed without the notification of the interest holder. The Court held that the United States is accountable in money damages for alleged breaches of trust in connection with its management of forest resources on allotted lands of the Quinault Reservation. The court held the United States subject to suit for money damages on most of respondents’ claims, ruling that the federal timber management statutes, various other federal statutes governing road building, rights of way, Indian funds, and government fees, and the regulations promulgated under these statutes impose fiduciary duties upon the United States in its management of forested allotted lands. The Court ruled that a tribe’s regulation of non-Indian hunting on non-Indian land within a reservation is inconsistent with a tribe’s status as a dependent domestic nation. The Court held that Title 25 U.S.C. 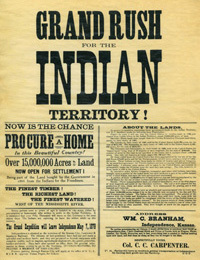 § 357 (based on the Act of March 3, 1901), which provides that lands allotted in severalty to Indian people may be “condemned” for any public purpose under the laws of the state or territory where located, does not authorize a state or local government to “condemn” allotted Indian trust lands by physical occupation. The Court upheld the validity of the exercise of Washington State jurisdiction over Yakima Reservation. The Court also asserted that the “checkerboard” pattern of jurisdiction is not, on its face, invalid under the Equal Protection Clause of the 14th Amendment. The Court struck down tribal jurisdiction over crimes committed by non-Indians on reservations. The Court granted the existence of tribal sovereignty, but declares this sovereignty is subject to Congressional whim. The Court held that the Northern Cheyenne Allotment Act of 1926 does not give the allottees of surface lands vested rights in the mineral deposits underlying those lands. The Court upheld ad valorem taxes on Indian lands once the lands become alienable. The Court ruled that treaties may be unilaterally breached or modified by Congress. The Court also restricted its review of political acts of Congress affecting the federal trust responsibility to Indians. As a result, the “plenary power” of Congress over Indian people is further asserted. The Court upheld Congress’ authority to pass the Major Crimes Act, holding that the U.S. federal government has “plenary power” or supreme, absolute control over Indian people. The Court ruled that the murder of one Indian person by another within Indian Country is not a criminal offense punishable by the United States. Indian tribes in their territory are free of regulation by other sovereign governments absent explicit direction from Congress. One of several 19th century court cases confirming that the doctrine of discovery did not give “discovering” nations, or the United States as a successor in interest, title to Native lands and resources. The second case in the Marshall Trilogy. The Court found that the Cherokee Nation is not a “foreign state” but a “domestic dependent nation” and that “their relation to the United States resembles that of a ward to his guardian.” Dictum in the case also affirms the validity of treaties with tribes. The first of the three Supreme Court cases referred to as the Marshall Trilogy. The Court ruled that Indian tribes cannot convey land to private parties without the consent of the federal government. 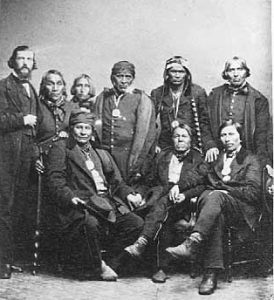 The Court reasoned that European discovery and the establishment of the United States diminishes the rights of tribes to complete sovereignty and also diminishes tribes’ power to dispose of their land. Chief Justice Marshall uses the term “title” to refer to the Indian right of ownership of land and asserts that Indian people have all the rights of ownership except for the right to dispose of the land to any other European country. Historical treaties with the United States continue to affirm the inherent sovereignty of American Indian nations today as tribal governments maintain nation-to-nation relationships with the federal government. Below is a collection of links to American Indian treaty resources. While some tribes were allotted under the General Allotment Act of 1887, others were allotted through treaty or tribe-, state-, or reservation-specific legislation. The interactive map above shows each tribe-reservation that was allotted, the specific allotting legislation, and the number of allotments made until 1934 when further allotments were prohibited. Click on a Bureau of Indian Affairs (BIA) region on the map to access allotment information for a specific tribe or reservation or click on the name of the region below the map. Cohen, Felix. Handbook of Federal Indian Law. Reprint ed. Washington, D.C.: GPO, 1942. U.S. Department of the Interior. Office of Indian Affairs. “Indian Affairs: Report of the Commissioner and Appendices.” Annual Reports of the Department of the Interior. Washington, D.C.: GPO, 1900. U.S. Department of the Interior. Office of Indian Affairs. “Indian Land Tenure, Economic Status, and Population.” Report on Land Planning. Washington, D.C.: GPO, 1935. U.S. Department of the Interior. Office of Indian Affairs. “Report of the Commissioner of Indian Affairs to the Secretary of the Interior for the Fiscal Year ended June 30, 1919.” Annual Reports of the Department of the Interior. Washington, D.C.: GPO, 1919.